So its Monday night and I'm feeling like its Sunday....why does this happen to me? This weekend flew and it was a good one! Saturday was pretty easy going. We went out early in the afternoon to take our son to hitting practice, then headed to Olive Garden for an early dinner. Unfortunately, there was a 45 minute wait and we were starving since we skipped lunch, so we left. Then we thought of going to Chili's and luckily there was no wait....this one wasn't our first choice but it was better than nothing. Sunday was a bit crazier. First up was ice skating and it was fantastic! Baby girl passed her test and is moving to basic 2!! This was the child that cried her eyes out on the first day saying that she never wanted to go back, lol! Needless to say she was ecstatic and wanted to tell everyone. After ice skating we headed to my sister-in-law's for our niece's birthday party. 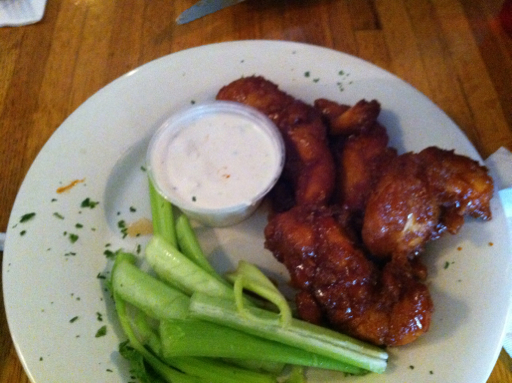 It was a small lunch at The Cabin Restaurant in Freehold. 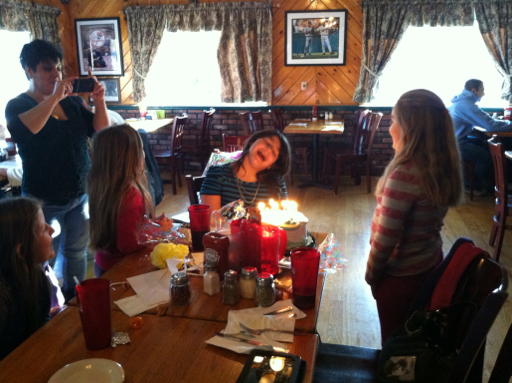 On the menu was thin crust pizza, boneless wings & of course birthday cake! 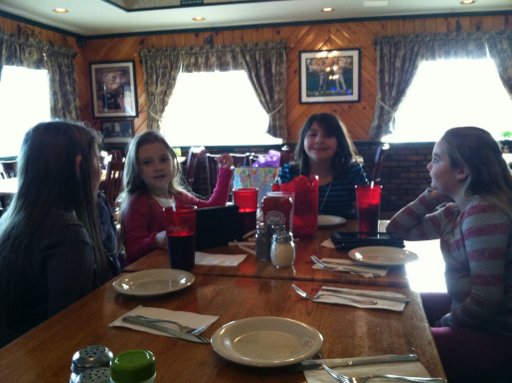 The girls had a blast and as for us adults, yeah it was fun too. 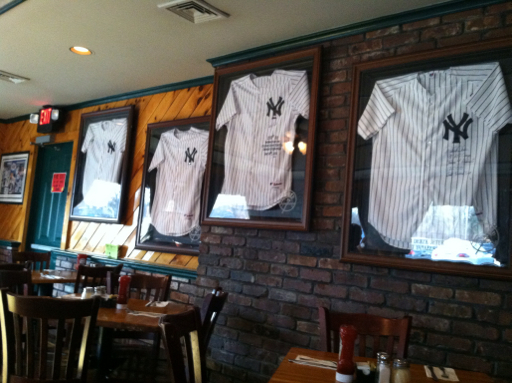 I loved the decor in the room....Yankee pictures & jerseys on every wall. There was also a flat screen tv, although they had it tuned to a tennis game so I wasn't really watching. This would be a great place to come have a few drinks & watch a game or just hang with friends. We were told that they also host bike nights during the summer, which is fun for those interested. We've gone to a few bike events in the past and they've been fun! Afterward we went to m sister-in-law's house so hubby can cut down a piece of a tree that has been hanging over her fence and into her property. This took some time, which in turn didn't give us enough time to get back to take our son to his open gym session at school. We always try to not miss the kids' activities but sometimes it's unavoidable. This morning I woke up feeling horrible & with a stiff neck. So after a quick trip to the mall, I spent the rest of the day in bed. I even missed baby girl's gymnastics. Hubby had to take her today & I felt so bad because I never miss her gymnastics but I am in no condition to drive or go anywhere today. I hope to wake up better tomorrow!